Fr. Peter Richards grew up on the Mesabi Iron Range near Biwabik, MN next to Lake Eshquaguma and is the youngest of fourteen children. Fr. Richards graduated with a BA in Humanities from St. John’s University in Collegeville, MN. During his time at St. John’s he also served in the Army ROTC program. He was commissioned as a 2nd Lieutenant and served 5 years in the U.S. Army Reserves. In 1993, he entered the Pre-Theology program for one year at St. John Vianney Seminary on the campus of the University of St. Thomas in St. Paul. 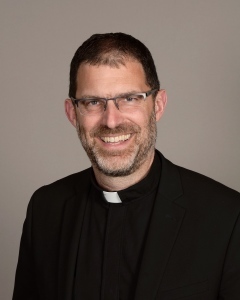 He entered the Theological Seminary at St. Paul Seminary in 1994 and finished with a Masters in Divinity and was ordained to the priesthood for the Archdiocese of St. Paul and Minneapolis on May 30, 1998. Upon ordination, he was assigned associate pastor at Mary, Mother of the Church in Burnsville, MN. In September of 2001, he became the pastor at the Church of St. Albert in Albertville, MN. 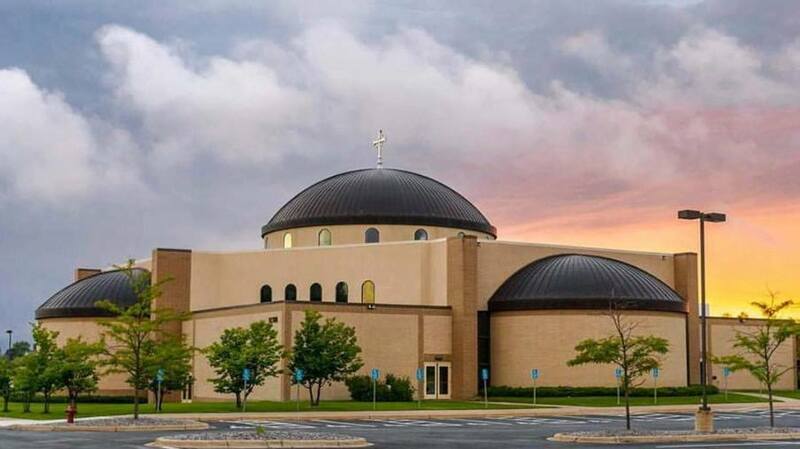 In August of 2009, he was named pastor of St. Michael Catholic Church. Effective September 1, 2015 St Michael clustered with St. Albert and he currently serves as pastor for both parish communities. He enjoys golfing in the summer, hunting in the fall and cross country skiing in the winter.